At the turn of the millennium Portugal was experiencing the most terrible heroin pandemic in Europe. The country of 10 million people accounted for the worst figures related to drug use: 1% of the population was addicted to heroin, the rate of HIV infection was the highest in the European Union and deaths from overdoses were spiralling out of control. During the 80s and 90s, hundreds of users used to line up for hours to buy drugs in the impoverished neighbourhood of Casal Ventoso, Lisbon, known as the „drug supermarket“. At its height over 6,000 addicts descended daily on the shanty town to buy and consume heroin in the open air until 1999, when the slum was cleared and its residents rehoused. Today, the country is very different, as heroine use has fallen to a quarter of what it was in 2000. Furthermore, Portugal has seen a dramatic drop in HIV infections (from 104 new cases per million in 2000 to 4.2 in 2015), whilst the number of people dying from overdoses has plummeted by more than 85%. Despite using different methods as most other countries, Portugal is winning its war on drugs. In 2001, the country undertook an important experiment by becoming the first to decriminalise the possession and consumption of all illicit substances, including those considered „hard drugs“, such as heroine and cocaine. Architected by public health expert João Goulão, the policy was introduced while Antonio Guterres, now Secretary-General of the United Nations, was the Portuguese Prime Minister. Selling and distributing drugs are still criminal offenses. However, purchasing a small quantity is not considered a crime, but an administrative offense. Drug addiction is viewed as a medical disease that should be taken care of in the health system rather than punished by criminal justice. More importantly, to tackle addiction, Portugal has also launched a strong public health initiative that aims to discourage narcotics use. Every day, vans tour Lisbon’s streets to provide users with methadone free of charge. More than 15 years since the policy’s implementation, the country significantly outperforms those who continue to criminalise drug use, such as the UK, where the rate of overdose deaths is 45 per million, compared to just 3 in Portugal. 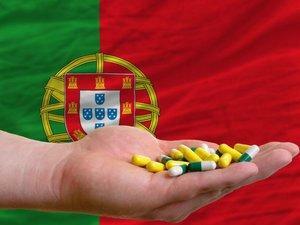 This approach has converted Portugal’s drug mortality rate to become the lowest in Western Europe. Besides from improving statistics, the country’s radical drug policy has been praised for its humanistic rather than stigmatizing approach. However, even though the international press regularly commends Portugal’s pioneering strategy in tackling its drug problem, few risk following it.